We’ve got 21 flexible meeting rooms – so we’re the perfect place for meetings, training and conferences of all sizes, from 10 up to 850 people. With state-of-the-art AV equipment, free Wi-Fi and friendly staff who’ll help plan your event and make sure everything runs smoothly. Our brand new, contemporary and Eco-Friendly Orchard Hotel is located adjacent to the EMCC is the perfect place to unwind after a busy day. Relax in the gym or unwind in the bar, before enjoying a local speciality in Bramleys restaurant. 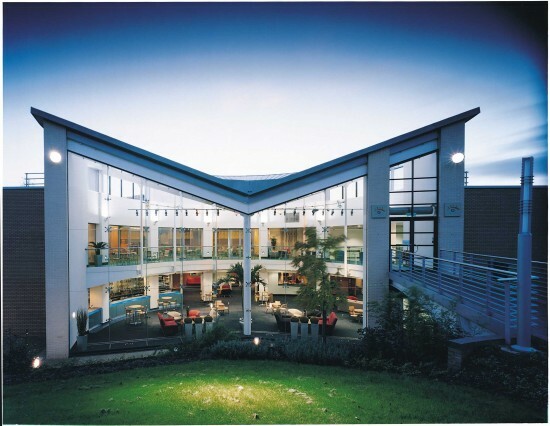 As the UK leader in dedicated business space, we provide the ideal location, for business and leisure, in beautiful surroundings across over 30 Venues throughout the UK. Attracting national and international companies, our University of Nottingham campus location is perfect for delegates and guests to be in an inspirational environment to take their event, meeting or awards to the next level.